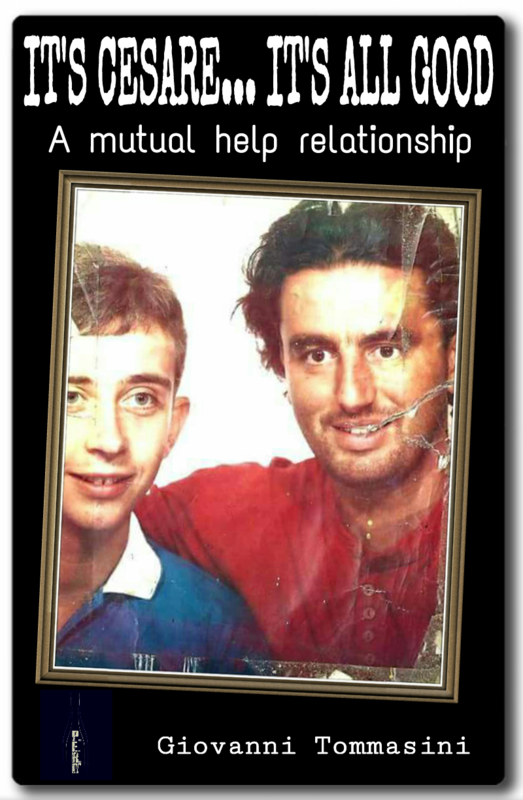 Giovanni Tommasini Edizioni : The true story of a help relationship, mutually and intensely lived, between a young educator and an autistic savant child. 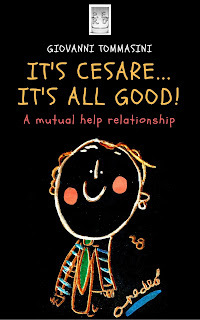 Ebook IT'S CESARE... IT'S ALL GOOD. A mutual help relationship. The true story of a help relationship, mutually and intensely lived, between a young educator and an autistic savant child. 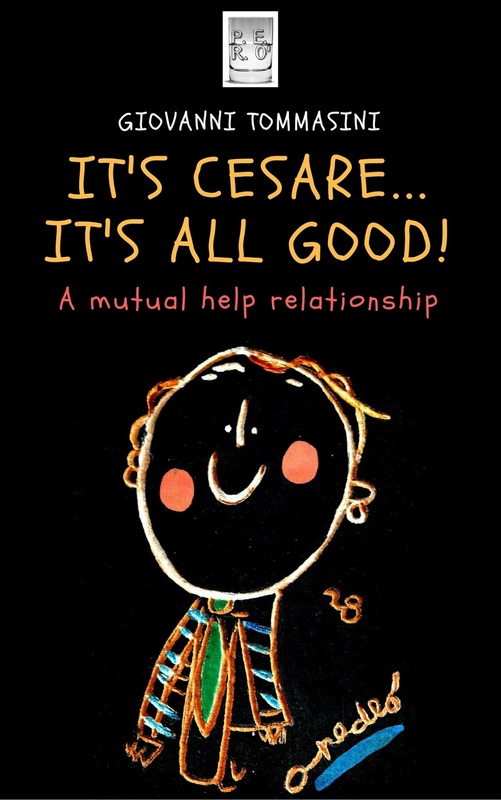 Ebook IT'S CESARE... IT'S ALL GOOD. A mutual help relationship. I felt lucky: I watched him, and I saw myself. Nothing else has ever mattered to me as much. Each one his own world. But the real problem was how to live in the world, because they had taught us only one way: surviving with all that is around us. “The others are us”... It became our song. Music is a machine to suppress time. I found myself “somewhere else.” He had perceived me and was putting in even more effort. His orchestra must have done its best to welcome me. He was thirteen years old now, and a part of his body was still that of a child, the other part had grown into adulthood. His chest was squeezed into his old polo shirts, one over the other; from the waist down he was wearing light wool grey pants, pleated: a triple jump into the future adulthood, as if to have a taste of it and see the effects. Maybe he was feeling nostalgia for the innocent childhood, for the moments when he’d been able to deal with the oppression of all that surrounds you in a lighter, better way. Seeing those polo shirts hurt me. They squeezed him. They were the cause of the cuts he had on his arms and his belly, right where the hems of the shirts had been. A fight against time. He didn’t want to grow up. As if the upper part of his body was dedicated to his mom by remaining that of a child. The other part of his body though, reminded of thenmaturity and severity of his father, an anesthesiologist, who’d never been present in those years. And actually, it was the right approach. Observing, listening, breathing that air, I understood what hundreds of pages written on the topic hadn’t been able to even describe. A boundary to the world, a containment, the perception of one’s own body.The ring that he kept touching, the cuffs that he rolled up until they couldn’t be loosened anymore, the suffocating polo shirts… everything was emotionally disproportioned. The absence of contact and the non-existent relationship placed me, and what was outside of him, in a corner. I could perceive these defenses. Simple and impossible, at first. A raft drifting in the sea, in the midst of the storm. Nonetheless, I was sure I would have become a secure shore. Staying still…Hanging in there. Sooner or later, he would reach me. Going back home, I could still hear his voice echoing in my helmet: the words he shot towards me so that he couldn’t hear them coming out of himself and entering me.They kept pounding inside my head, invaded by a relational and communicative code that I had never experienced before. A mixture that couldn’t be deciphered, thanks to which the relationship was not developing one track at a time. But leaving the room was not enough.I brought that “baggage” back home with me, and when I was under water of the shower...I stayed there and asked the water to wash away the intensity of those three hours. He should have started to “imitate” me but…Had they taken into consideration that we were two? Being young and inexperienced was not a completely negative factor. I only knew how to live, and that was what I offered. Few words in my pockets. Curiosity and passion. Present. A desperate desire to grow up. I just came back from my night shift. I work in a group house on the hills of Genova, beautiful, from which you can enjoy a wonderful view: all of Liguria. 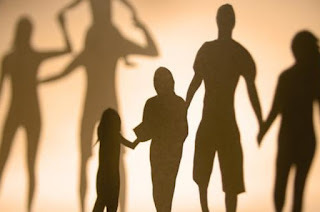 Here we host 16 “intellectual and relational disabled” who can’t be followed by their own families. I started this job in 1990. Daily events occurring in any social, political, economic field should at least make us wonder about these pitiful labels, given to the ones showing in a unique way their humanity and way of living.